Emergency & Fixed Term Air Compressor Hire To Keep Your Business Moving. We understand that your business doesn’t stop when your Compressed Air Supply fails. We know the importance of getting your air supply back on line so you can continue with your operations. When a quick repair can’t be made we can help. 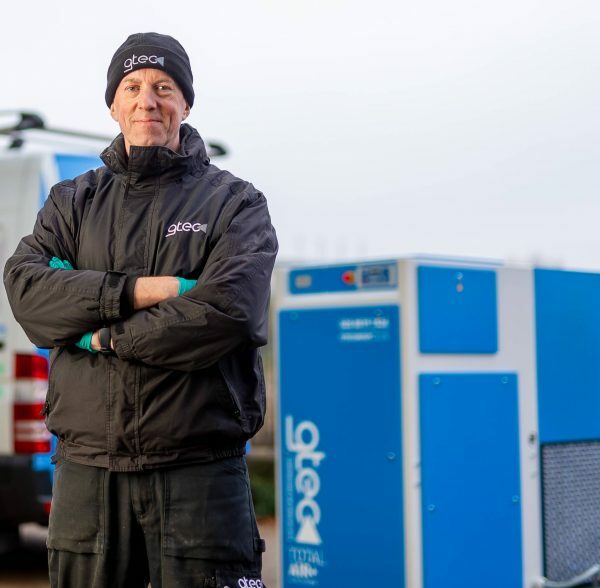 Our Hire Fleet consists of a comprehensive range of Electric Air Compressors and Ancillary Equipment available immediately to return Your Business to Operation. We offer flexible agreements to suit your requirement at very competitive rates. Contact one of our Advisers today to see how GTEC can help. Let your compressed air supply become our priority. New Equipment delivered and Installed at your premises for a Fixed Monthly Payment. When we say Fixed-Cost we mean it! Your fixed monthly payment includes use of the equipment, servicing, maintenance, breakdown cover, replacement and free technical support. Please contact one of our Technical Advisers to discuss your requirement today. We are happy to arrange a Free-Of-Charge, No-Obligation site visit to determine your requirements.